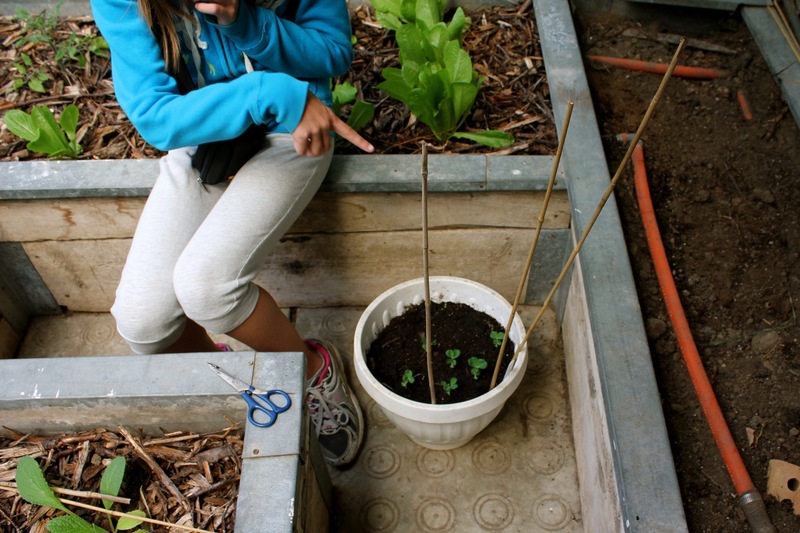 E came over last weekend to take a peek at her new garden and to see if anything needed to be tended to. 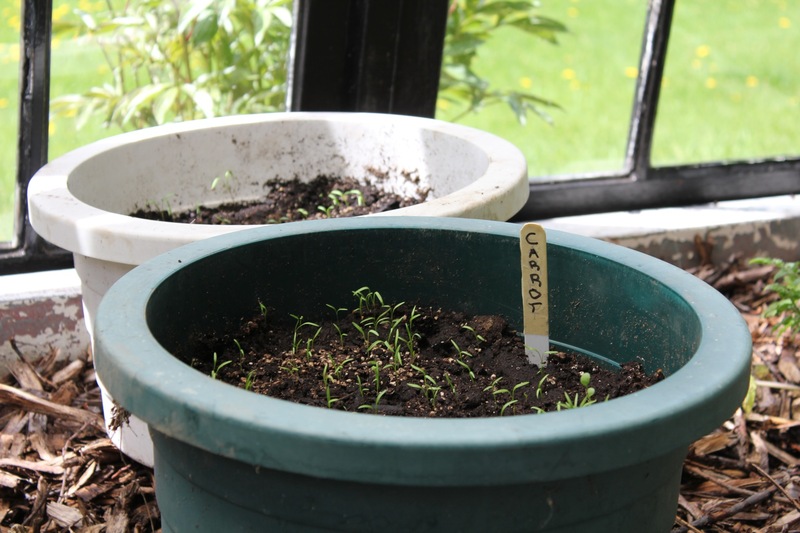 She was delighted to see that all five pots were full of little sprouts from the seeds she had planted just two weeks earlier. First, she noticed that her labels were fading in the sun and decided to improve them using masking tape and a new permanent marker (see picture below). As peas love to climb, E decided to build a little trellis for them. 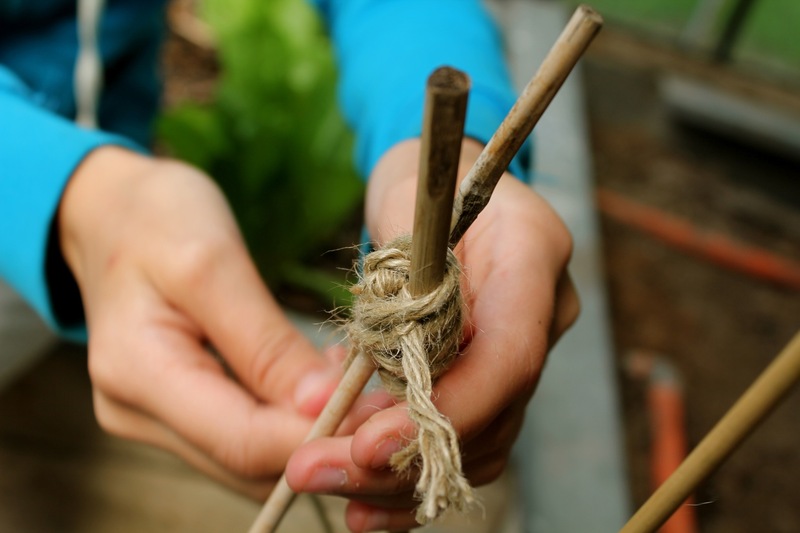 I had some extra bamboo stakes in the greenhouse and some garden twine. I gave them to E and let her decide how she would design the trellis. I simply held the stakes wherever she wanted them and she did the weaving to hold it all together. 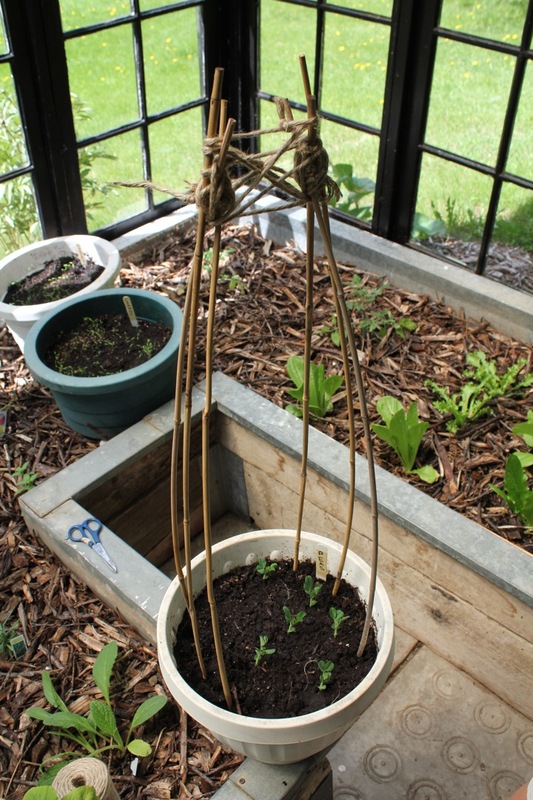 The end product looks like a work of art and we can’t wait to see the peas climb up the stakes…! Next, we found a few neglected barrel pots and moved them into the Medicine Wheel garden. 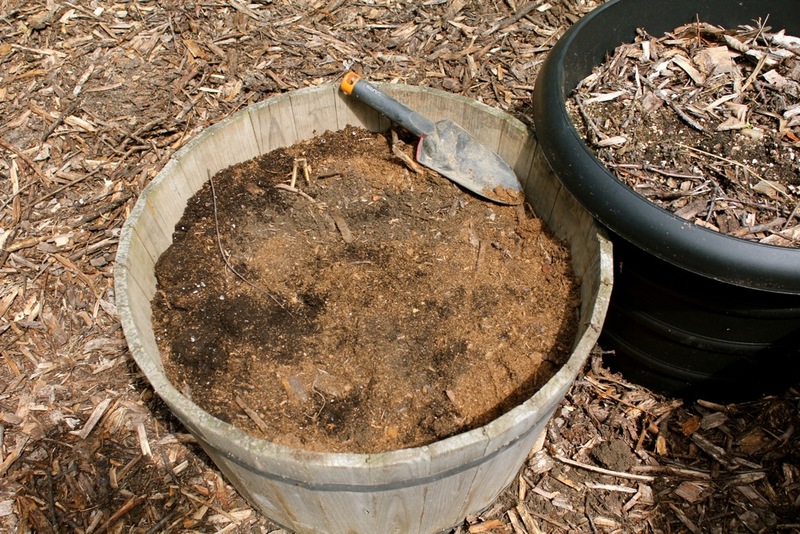 We filled them with good soil and E planted red potatoes in one and Yukon gold potatoes in the other. It doesn’t look like much now, but soon these pots will be bursting with baby potatoes for her family dinners… sent home with some garlic and chives of course!!! The best thing about helping E grow her first garden is that I get to experience those ‘firsts’ all over again. Together, we can work together, learn together and watch her garden grown into something edible and delicious!